Former Manchester United star player Wilfried Zaha has been impressive at Crystal Palace since he arrived at the club, and right now, lots of Man United fans are missing him already. Lots of red devils fans keep taking to social media to show their regret for losing the talented player after his impressive performances on Saturday. Crystal Palace clashed with Brighton & Hove Albion on Saturday and the 25-year-old proved his worth once more during the game. Zaha scored a brace to help his side win the game against Brighton (it ended 3-2), pushing them away from relegation zone once more, and making lots of Manchester United fans beg for his return to Old Trafford. This season so far, the talented player has scored 7 goals for Crystal Palace and has caught the attention of various top sides in Europe. But Manchester United fans are pleading with the management at Old Trafford to do all it takes to bring the player back to the Theater of dreams. Zaha played just four games when he was still a Manchester United player before making the move away from the club. 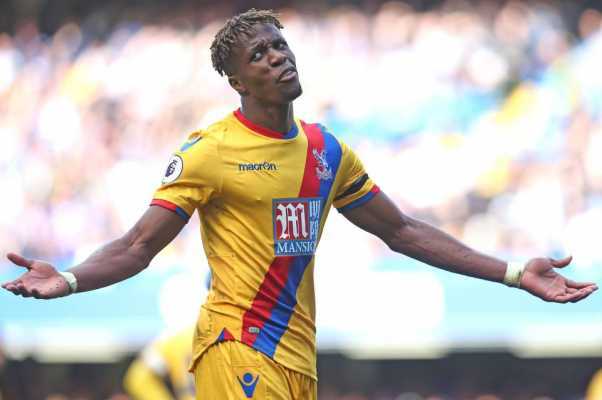 He has now evolved into a superb player at Crystal Palace, and the £22.5m-rated player will definitely add lots of quality to Mourinho’s team should he join Manchester United again. Do you think the management should sign Zaha again?